Emory’s Founders Week will serve an expanded role this year, offering events that recognize achievements of the past and present, while also marking the launch of a new centennial celebration. The midwinter festival, which runs Feb. 1-6, commemorates the first official meeting of the founders of Emory College on Feb. 6, 1837 — two months after the State of Georgia formally granted a charter to establish the college. Traditionally, Founders Week has celebrated the university’s role in promoting inquiry and intellectual life with a series of on-campus festivities that includes lectures, discussions and musical performances. 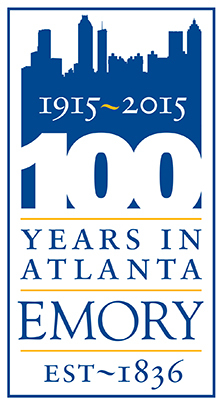 This year, that schedule also recognizes a historic milestone — the official launch of Emory’s “100 Years in Atlanta” centennial celebration in honor of the 1915 university charter that brought Emory to Atlanta. The Annual Bach Bowl, 4 p.m., Emerson Concert Hall, the Schwartz Center for the Performing Arts. Concertos for three and four keyboards with Emory organist Timothy Albrecht, William and Keiko Ransom and the Vega String Quartet. Free. Feast of Words, 4-6 p.m., second floor of the Emory Bookstore, Oxford Road Building. Hosted by the Center for Faculty Development and Excellence and sponsored by the AJC/Decatur Book Festival. Wine and hors d’oeuvres in honor of Emory faculty authors and editors with books published in 2014, with remarks and a toast from Emory President James Wagner and Provost Claire Sterk. Founders Dinner, 7 p.m., Cox Hall Ballroom. Keynote remarks by Stephen Ho Chen 95C 00L, a supervisory attorney with the U.S. Department of Education’s Office for Civil Rights. Hosted by President Wagner and the D.V.S. Senior Society, featuring the kick-off of “100 Years in Atlanta” centennial. By invitation; reservations required. 20th Annual Distinguished Faculty Lecture, 4-6 p.m., Winship Ballroom. 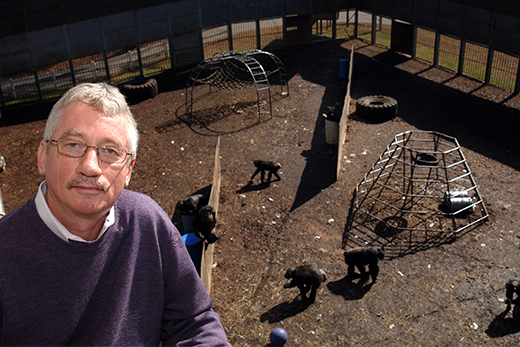 Frans de Waal, C.H. Candler Professor of Psychology and director of the Living Links Center at the Yerkes Primate Center, will speak on “Evolution of the Social Mind: Primate Politics, Culture and Morality.” A biologist and primatologist, de Waal has earned international acclaim for his work on the behavior and social intelligence of primates. A reception follows. Veterans Program, 6 p.m., Cox Hall Ballroom. The Emory Veterans Association, in partnership with the Georgia Humanities Council, is sponsoring a lecture by Col. Jack H. Jacobs, who served in Vietnam and earned the Medal of Honor for saving the lives of 14 men while under heavy fire. He is the author of two books, including “If Not Now, When? : Duty and Sacrifice in America’s Time of Need,” which won the 2010 Colby Award for a work on military history and international affairs. Emory Jazz Fest, 8 p.m., Emerson Concert Hall, Schwartz Center for Performing Arts. Features Grammy and Billboard Music Award-winner Irvin Mayfield and the 18-piece, Grammy Award-winning New Orleans Jazz Orchestra. For ticket information, visit arts.emory.edu.